A mother’s job is the most difficult in the world – there are no holidays or breaks! Especially if the baby does not sleep well in the night, it is the parents who suffer. We sympathize with you if your baby belongs to this camp. 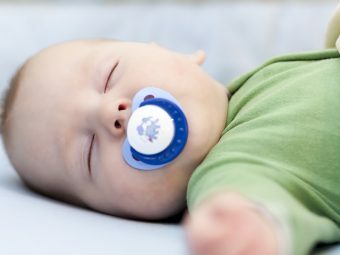 Restless sleep in babies is a common scenario in most families. However with some patience and support from your partner, you can definitely sail through this problem. 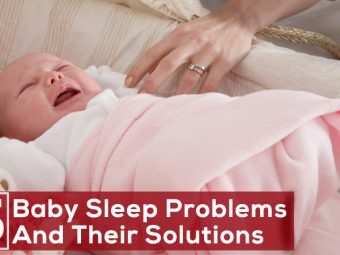 Most moms are worried that their baby might lack in good sleep. Don’t forget that sleep comes naturally to babies, once their tummies are full! Thus, the key to good sleep is a well-fed baby. Your baby cannot tell you that he or she is sleepy, but can definitely convey some clear signs of sleepiness. If your little one is rubbing his eyes, pulling his ears or has puffy eyes, these are the signals that he is feeling sleepy. It is the perfect time to put him in bed. When you delay your baby’s sleep time, he will become all the more restless and may not be able to sleep then. A baby does not completely understand the difference between day and night, since most of the time he is inside the house. Subtly teach him the difference, by taking your newborn baby outside for a few minutes in the day light, possibly a bright corner of your terrace or foyer. Always try to create a sleepy atmosphere at night. Reduce the external noise, dim the lights and put him in bed to make him realize that play time is over. You might realize that a slight change in their surroundings makes your baby restless. Babies like to be present in known environment along with known people. So always make your child sleep in the same room, on the same bed or cot. Babies need to feel secure while sleeping, so if they have any favourite toy or blanket, do let your baby have them. You might get annoyed why your baby wakes up in the middle of the night and starts crying. There are reasons behind this act, which you need to understand. Sometimes, they might have wet nappy or they could be even hungry. Make note of such reasons and likewise make necessary changes in their diet. Make sure your baby is well-fed before sleep time. Also ensure that the diaper he is wearing at night is good enough to last the entire night. Just like when you bring his feeding bottle your baby understands that it is time to eat, similarly you need to create sleep associations. Make a routine of giving a warm bath to your baby before sleep time. If you sing a lullaby then do it every day or may be record your piece of music and play it before sleep. Such a routine will make your baby fall into sleep easily. 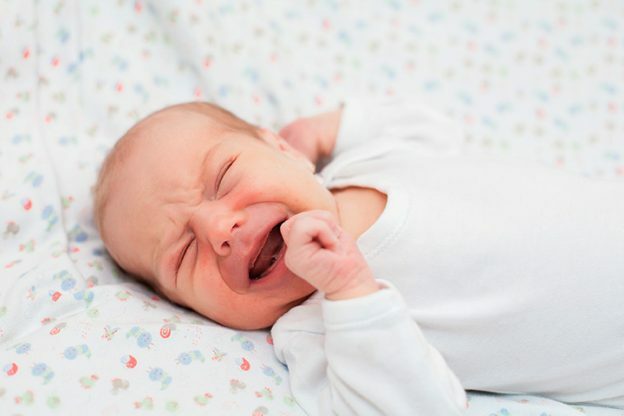 If your baby is cranky and restless during the day time, his nights are not going to be any different. You can help by making his day time mellow and calm. 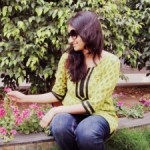 You can keep the home atmosphere tranquil and spend more time with him to make his day easygoing. Similarly, if your baby had a restless night, his days could be challenging. So be prepared when you know that next day your baby might be cranky. It is difficult to manage your baby single-handedly during the day as well as at night. It is a responsibility which you and your partner should share equally. Typically, the mother or the nanny is primary caregiver during the day. Ideally, you should get your partner to share responsibilities during night time. When both parents are working, it is best to have an early discussion and delegate childcare responsibilities by mutual understanding. 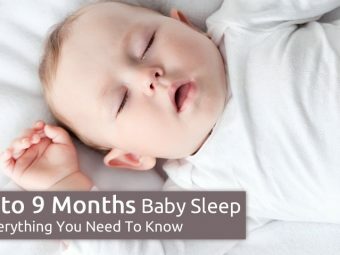 Remember, as a newborn is literally new to this physical world, after having a safe cocoon for eight months in the womb, it takes some time to develop a sleeping pattern. Try the above discussed ways to make your baby sleep better and thus, get some much needed sleep for you too! Sleepless mothers, we hope you might now be able to deal with your restless baby sleeping more easily. Do share your experiences with us in the section below.